Starbucks is an innovator when it comes to creating brand exposure, content quality and engaging with its audience on social media. It has an impressive following on various social networks and able to cultivate current relationships by encouraging sharing through special promotions, and customized experiences through programs such as My Starbuck Rewards. Another American company, Farmers Insurance, decided to exploit the benefits of social media to build additional brand awareness, by creating a new campaign that would put their virtual airship on the screens of everyone playing the popular social game Farmville on Facebook. earlier last year, it was reported that Farmville had over 80 million users – and growing. The raison d’etre of any for profit business is to increase sales and income. For this to occur, a company’s goal and objective is to attract new customers and encourage repeat purchases. Brand awareness signifies how aware existing, as well as potential customers are of your business and its products or services. Ultimately, to achieve successful brand awareness requires that your brand is very familiar and is easily recognizable. Brand awareness is crucial to differentiating your product/service from other similar products/services and competitors. What does it take to build effective brand awareness? Brand awareness affects perceptions and attitudes, which drive brand choice and even brand loyalty, which means that without brand awareness there is no brand equity. The latter signifies the value premium that a company achieves from a product/service with an identifiable name as compared to its generic counterpart. 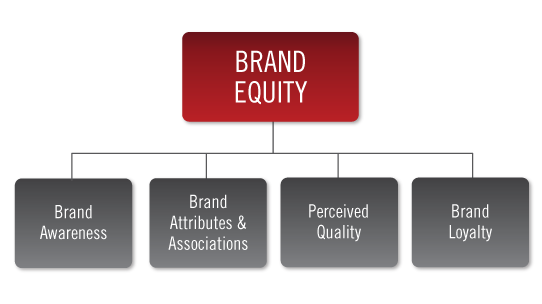 Moreover, solid brand equity is an asset that can be sold or leased. The first dimension distinguishing brand equity is brand awareness. It is influential in consumers’ purchasing decisions and loyalty. This affects customers’ perceptions and attitudes (liking or disliking) and how they build brand preferences. David Aaker, an authority on marketing & branding, in his various publications defines brand awareness as “a consumer’s ability to recognize or recall a brand in a certain product category”; in other words, the brand is called to mind when a consumer thinks about the category. Greater awareness of a brand increases the likelihood that a consumer will consider it. Brand awareness has three levels, which is depicted by experts in a pyramid. It ranges from the pyramid’s base as uncertain feelings that begin the moment the brand comes to the consumer’s mind through a name, followed by a belief that the brand is the only one in a particular product category. This is the lowest level of brand awareness. It refers to consumers’ ability to discriminate between a previously encountered brand and new brands based on prior exposure to the brand. The choice of the brand may not have been supported by the information a customer retrieves from memory. Thus, brand recognition creates positive feelings toward a brand, and more exposure to a brand name ─ while supported by the company’s image and products, strengthens consumer memory. 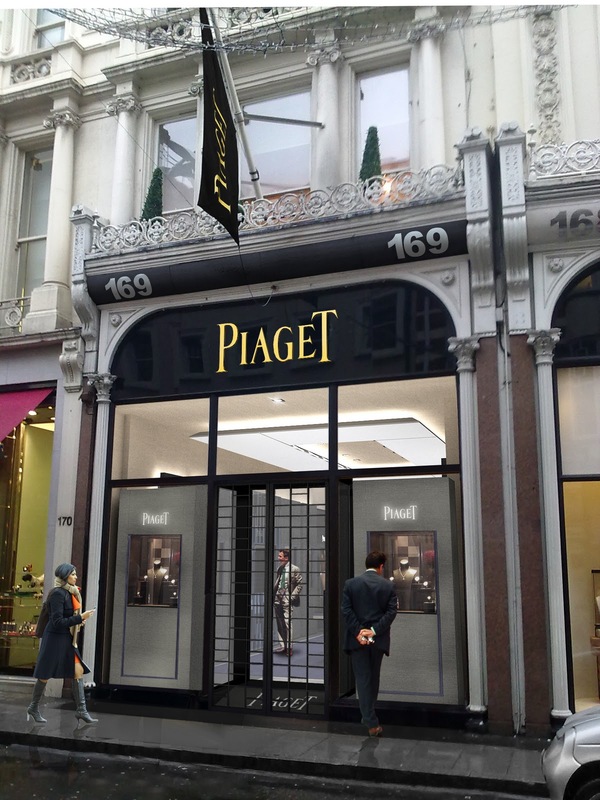 In a luxury window display, executed by professional merchandisers, the name of the brand will be supported by the ultimate look of the collection. The next level of brand awareness refers to consumers’ ability to recall the name of the brand when provided only with the product category as a cue. It usually takes place in a store, when a consumer compares a brand he/she can recall from memory in the presence of other brands. For example, a product-category cue may be signaled in a department store that has collections from several luxury brands. The significance of brand recognition depends on where a purchasing decision is made: in the store or outside the store. Brand recognition is generally more effective when the product decision is made in a store. Brand names and symbols are the facets of brand awareness that provide basic information for classifying brands as members of product categories. These affect inferences made about brand attributes and benefits. Jean-Noel Kapferer and Vincent Bastien, authors of the venerable book “The Luxury Strategy”, which includes the notion of ‘Break the Rules of Marketing to Build Luxury Brands”, note that in the luxury domain, because of the complexity of the luxury concept, a “label” reveals the identity, class, knowledge and culture of the brand. It creates, for example, immediate recognition of the unique touch of Chanel, with the particular look of a garment anywhere in the world. In luxury, a name, logo, symbol or color, shapes distinct consumer perceptions ─ forming emotional links to the brand, as well as secondary links to product quality. Brand name awareness is the basic step in the communication process between brand and consumer that supports the creation of brand identity. To be effective, the name should be easy to remember and have an emotional component. In luxury, a brand name usually belongs to its original creator and founder, as in Yves Saint Laurent, Christian Dior, Louis Vuitton and Coco Chanel. A prominent brand name that’s different and distinctive enhances recognition. Distinctiveness is achieved through pictorial depiction of the brand name, which facilitates recognition of the symbol. Luxury brands that bear the names of their founders, such as Christian Dior, are already distinctive, whereas less-mature luxury brands could benefit from a pictorial approach, thus enhancing the brand awareness. Brand symbol is a representation of the brand name and its product category. Companies that want to communicate their product or service effectively should depict their brand name as a symbol. 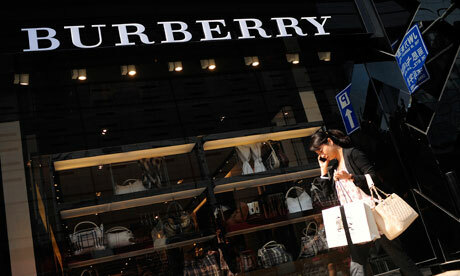 In luxury brands, a symbol usually combines a brand name and a logo. In this instance, the latter begins to communicate with a customer before a purchase, helping to maintain consistent memories of the brand. A logo provides a great deal of information through a small number of signs that translate the values and vision of the brand. Packaging and colour are also important associative characteristics in identifying the essence of a brand. 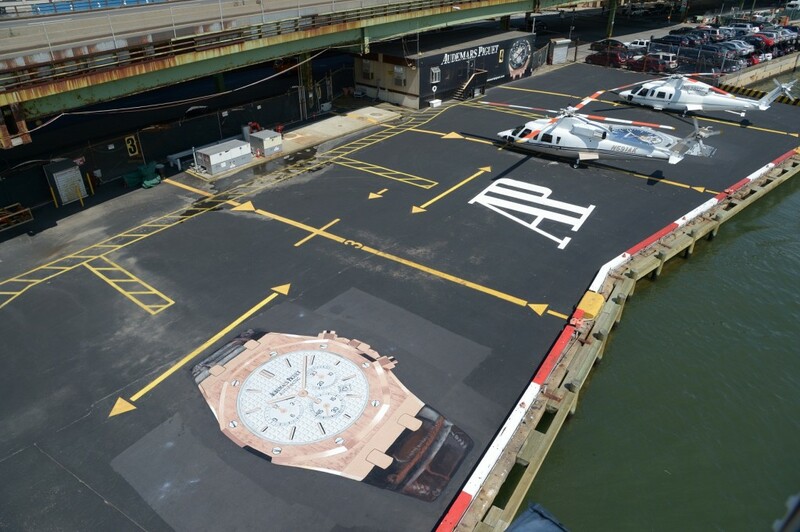 Such unique appeal helps potential customers easily remember and quickly identify a brand from a distance. A brand’s name and packaging strongly influence quality perceptions and shape a brand’s reputation through purchasing behaviour that leads to brand loyalty Tiffany’s aqua blue colour reflects a relaxing and refreshing state because it resembles the colour of water. A coordinated color that is used in signs, packaging, web pages and all advertising shows the character of a particular business, which influences customer satisfaction and loyalty. FMRI research (Columbia University’s Medical Center Program for Imaging and Cognitive Sciences) has shown a significant impact of differentiated packages on consumer choice, which can affect a customer’s emotions and increase sales. For example, perfumes presented in distinctively designed bottles linked to the brand name help create a distinctive brand identity. Social media had become an important venue for companies of all sizes in building trust amongst their so-called “fans” or “followers’ who in essence are their consumers. Social media offers an array of functions, which can benefit a company’s reach and objectives. The Harvard Business review recently featured an article on how soft drink brands like Coke and Pepsi use social media to build trust with their consumers. Facebook and Twitter, amongst others, are effective tools for these brands to reinforce and expand their identities ─ as well as enhance customer relationships. A brand can offer the best products in its category, comes backed by the best service and deliver the best overall value; however, it’s meaningless if no one has heard of the brand. To start with, consumers must be aware that there are different brands in the product/service categories in which the brands operate. Subsequently, they must be aware of the brands ─ ideally, the brands should be the first ones that come to their minds within specific product categories and associated with a USP (unique selling proposition). Consumers should also be able to identify which benefits are associated with the brand. Finally, they should have an idea where the brands are sold. For companies to succeed in creating effective brand awareness, they should develop and execute a strategy that they can continue to update throughout the development of their brand. Successful brand awareness normally takes time to develop with regards to an effective awareness effort. Furthermore, it takes time for an effective communication to reach potential customers. A few customers can respond early, while most will take time to hear about the products/services, make a decision to try them, as well as return for more at a later time. Establishing customer loyalty takes even more time as it requires extended experience with any company and its products/services. As a result of the aforementioned actions, positive brand awareness will increase. Brand awareness is essentially the impression people have of a brand. In the soft drink industry, there is not much, which separates a private/white label soda from a brand name counterpart in terms of taste. However, consumers are very aware of the brands Coca Cola and Pepsi, in terms of their images and names. This higher rate of brand awareness equates to higher sales and further serves as a superior competitive advantage that prevents competitors from gaining additional market share. Article based on extensive research that has been conducted for an MBA dissertation based on the topic ‘The Influence of Brand Identity on Brand Equity in Luxury Segment’ by Violetta Ihailanen who has over 15 years of practical retail luxury experience with renowned fashion brands including Burberry amongst others along with an entrepreneurial stint. A study of 33 publicly traded firms over a 4-year period, as measured by the EquiTrend method, illustrated that perceived quality had an impact on stock yields ─ a key business performance measure. The study looked at American Express, AT&T, Avon, Citicorp, Coke, Kodak, Ford, Goodyear, IBM, Kellogg’s, and 23 other firms for which the corporate brand drove a substantial amount of sales and profits. Not surprisingly, the influence of perceived quality was nearly as great as that of Return On Investment (ROI). “Perceived Quality” is considered the customer’s perception of the overall quality or superiority of a product or service with respect to its intended purpose and compared to its alternatives/competition. According to academics Scott Maynes and Valarie Zeithaml, as there is no general agreement on standards for the skewed term “quality”, a consumer’s judgment about a product’s excellence and superiority is an intangible aspect of a brand. As a result, objective quality is moot, and all quality evaluations are considered to be subjective. This argument supports the premise that quality is determined by customers’ perceptions, based on individual values. Consequently, perceived quality is defined as a measure of belief. Branding activities are all a brand does that impacts consumer perceptions of the brand including product improvements, customer service, user manuals/quick-start guides, and discounts amongst others. A notable example is with the branding activities Hyundai performed in the automobile industry that raised the product quality perception with both its dealers and consumers. The South Korean automobile manufacturer offered an extended warranty on all its vehicle models to encourage confidence. It worked superbly as demonstrated by their sales which peaked over the last few years. Great advertising, great packaging and price are also key components. With consumer electronics and software, usability is the main component. What Influences Perceived Quality in a Product and a Service Provider? 1. Performance: How well does a washing machine clean clothes? 2. Features: Does toothpaste have a convenient dispenser? 3. Conformance with specifications: What is the incidence of defects? 4. Reliability: Will the lawn mower work properly each time it is used? 5. Durability: How long will the lawn mower last? 6. Serviceability: Is the service system efficient, competent, and convenient? 7. Fit and finish: Does the product look and feel like a quality product? Do the physical facilities, equipment, and appearance of personnel imply quality? Will the accounting work be performed dependably and accurately? Does the repair shop staff have the knowledge and skill to get the job done right? Do they convey trust and confidence? Although there are no extensive studies on perceived quality in the luxury market, marketing and branding experts, with emphasis in the luxury domain, contend that in the business of luxury, customers perceive quality in a product when they experience high-quality materials and service, when a product performs its function, as well as when it has desirable features, reliability, durability and design. Luxury consumers also perceive quality based on service received prior to purchase, at the point of purchase and following their purchase. Superior service during the purchasing experience positively affects attitudes and future behavior towards the brand. Customers with little experience of luxury products are especially influenced by service factors. 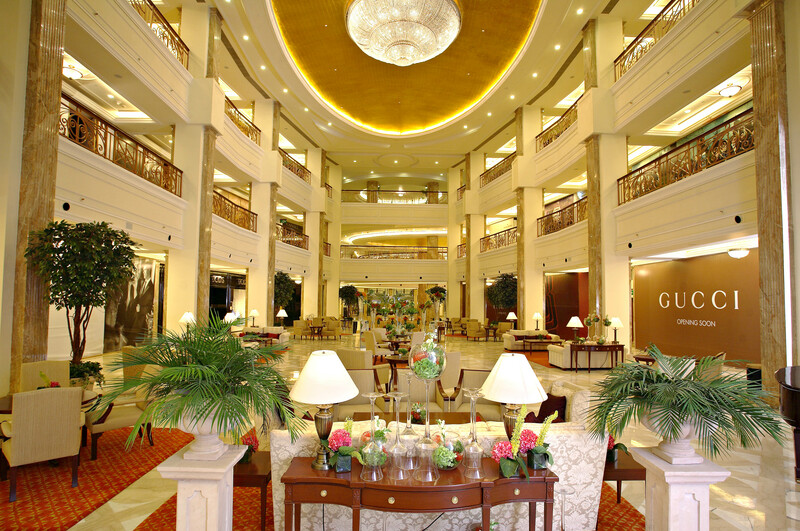 A shopping atmosphere which exploits the five senses with the presence of sophisticated music, luxurious fixtures and exceptional service creates a mystique that is key to the luxury experience. Such an atmosphere can help persuade shoppers to make purchases that do not necessarily seem sensible in economic terms. Similarly, exquisite packaging, such as perfume in a beautiful bottle, helps satisfy the ‘need for beauty’ and creates a link between the consumer and the aesthetic values of a luxury brand. The same experts above, argue that premium prices are associated with prestige ─ the major indication of superior quality. 1) Communicate the information about product quality to their customers continuously by utilizing integrated marketing communications tools such as public relations, advertising, sales promotion, personal selling etc. 2) Avoid boasting about product/service quality excessively despite the presence of high-level quality, otherwise, it can make customers feel as if the products and/or services can’t satisfy them as they greatly anticipated previously. 3) Pay attention to the factors affecting the quality of products/services such as pricing, advertising, warranty issues, and brand image etc. These can influence perceived quality directly. For example, using a low pricing strategy excessively can make the perceived product quality decrease because most consumers often equate cheap products with a low-end consumer sector. Consequently, brand image will lose its luster. Financial performance is deemed to be linked to a brand’s perceived quality – a distinct relationship between them. Perceived quality is an intangible and overall feeling about a brand and can’t essentially be objectively determined, partly because it is a perception and also because judgments about what is important to customers differ sharply in their personalities, needs, and preferences. However, perceived quality is based on essential factors which include characteristics of the products to which the brand is attached to such as performance and reliability. In the luxury sector, customers expect luxury brands to be expensive; to satisfy them, luxury products should be in a higher price range. The scarcity of a product also affects the perception of quality during the purchasing experience. Function, features and benefits are an integral part of a product. However, they don’t matter as much as the perception of use value inherent in the brand’s promise. Today, even online retailers have undertaken to create customer-centric strategies that drive brand loyalty. With a plethora of competition and better educated consumers, this has become more critical than ever before. However, how does one create and execute engaging customer experiences online or offline that will maximize brand loyalty? During the industrial era, consumers would simply purchase what was produced, shopping where that product was available and paying the price the retailer demanded. In essence, the manufacturer and the store were in position of strength. As products and consumers have changed over the years, the concept of ‘brand loyalty’ and ‘consumer insight’ came about. As we progressed into the new millennium, the transparency and unrestricted information available on the internet has changed all of that. Today consumers are not only better informed but they are also in control. They can make or break a brand through their actions. So what does this say about listening? By listening attentively – especially through the various online social venues, should keep a brand from becoming the next Netflix, Tropicana or Gap ─ each one with their costly blunders. As for low prices, though they may seem attractive to shoppers, prices can only go so low. Retailers, whether in bricks & mortar or not, need to look beyond the quick sale and start to focus on building brand loyalty. Commodities find it hard to maintain loyal customers. What contributes to Brand loyalty? A study (2004) conducted by brand expert J. N. Kapferer reported that brand loyalty contributes to successful marketing programs, sales initiatives and product development. The key aspect of brand loyalty is the consumer decision — which can be made both consciously and unconsciously to repurchase a brand continually. A consumer makes this decision that the brand is perceived the one that offers the right product features, identity or level of quality at the right price, thus establishing a positive image of the brand. Since brand loyalty leads to future purchases, it can be considered a valuable strategic asset for companies. Brand loyalty requires trust as it’s a key factor in the development of brand loyalty. An additional and often overlooked principle in brand management is this: When a brand is successful, it’s because customers value an emotional experience more than a functional benefit. When the brand delivers on client expectations – and beyond, trust is earned, strong connections are made and ultimately, brand value grows. In Mr. Schultz’s new book, “Pour Your Heart into It,” he describes how the brand was built “one cup at a time.” This could not have been further than the truth as every brand thrives through a constant repeat of individual positive transactions. Unfortunately, many brands take consumers for granted once a business or new retail location is up-and-running. Luxury brands rely on committed customers, who often provide “walking advertisements”/brand ambassadors ─ also known as indirect marketing. 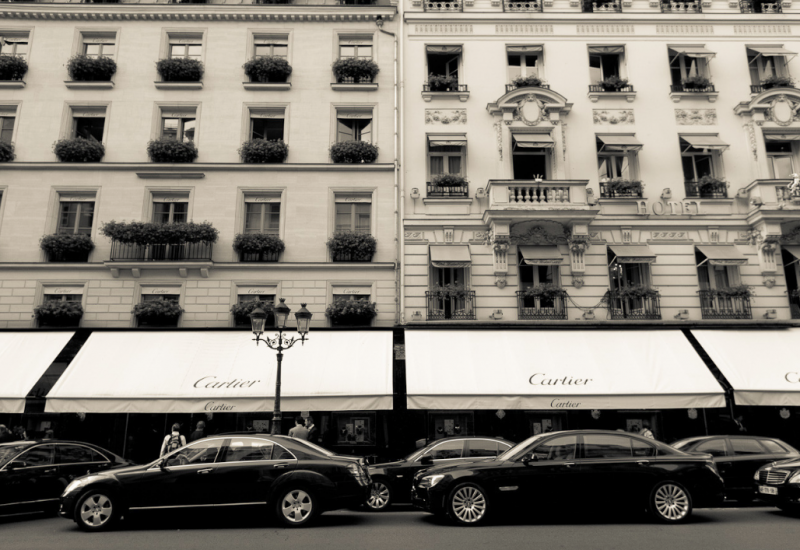 Evidence from academics suggests that this phenomenon has a strong presence in the luxury sector and may have a double positive effect on enhancing a brand’s overall image and status. Consumers who trust a brand and its name are more likely to trust the quality of new and existing products. This leads to faithfulness, repeat business and positive word-of-mouth. 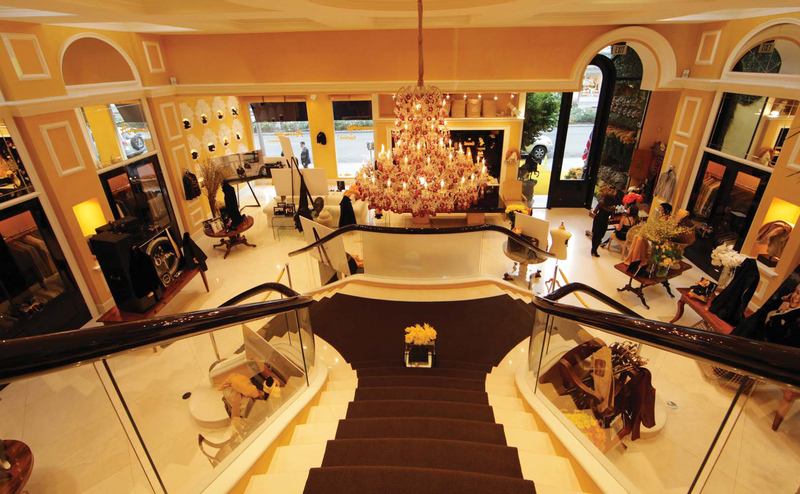 With luxury retailers, emphasis should be placed on providing a service or an experience that causes the luxury shopper to shift his/her spending from one brand to another. Giving your customer prestige or special recognition for buying your product or service should be a standard offering. Simply thanking him/her who just spent $1 million at your luxury boutique isn’t adequate. A generous and memorable offering should be made rather than something that can be duplicated and repackaged by a competitor – whether online or offline. Rewarding points, for example, will no longer make a large impact in demonstrating appreciation as it has become quite ubiquitous. It may be utilized toward buying an item he/she would have gotten anyway. But an “invitation-only” evening, for example, with a top designer can have much more of a positive impact. Brand loyalty in the B2B sector is higher than in consumer goods markets because companies in the commercial and industrial segments seek long term relationships as any experiment with a different brand will have impacts on the entire business. Therefore, it’s wrong to assume that marketing solely applies to consumer goods brands. Among Interbrand’s 10 most valuable global brands, Microsoft, Intel, IBM and GE all generate far more B2B revenues than sales to end consumers. Consider, for example, that GE and Microsoft are hybrid brands with some direct-to-consumer sales that have helped to build the reputations of what are primarily B2B firms. Although enterprises are selling to businesses, they want to be in touch with end consumers, with their aspirations and their needs. That is a source of competitive advantage in driving their innovation agendas can capture a larger share of channel margins and as a result, build loyalty. Social media is proving a fertile ground for breeding brand loyalty. Recent research by eMarketer has shown that social media sites like Facebook are where consumers go to keep abreast of a brand’s products and promotions. This is where consumers are converging and where online retailers should engage. Building a community around a brand not only increases exposure and traffic to a website, but also a very effective means of creating brand evangelists who will spread the brand’s message to a wider audience. Starbucks has made effective use of social networking and micro-blogging such as Twitter and Facebook in interacting with their customers and measuring their interests and opinions on new branding activities. As of the beginning of 2011, the company had 1,237,169 followers on Twitter and more than 19.4 Million on Facebook. Consumers will often purchase a brand for the first time due to its reputation. The brand, therefore, adds value and certainty to an otherwise unknown product. The stronger a brand’s reputation, the higher the value of the brand and the greater revenue it will drive for the business. Brand loyalty has a strong presence in the luxury segment because luxury goods consumers identify with the personality of the luxury brand and see no need to search for alternatives. B2B marketers are realizing that developing brand awareness among their customers’ customers can capture a larger share of channel margins and build loyalty that can protect them against lower-priced competitors. Using social media to build brand loyalty to a brand’s long-term success as it creates a digital holistic platform where loyal customers converge and whose voices are heard and spread beyond. Those merchants winning the race are delivering the kinds of recognition that make these shoppers feel truly remarkable, even in their privileged surroundings. Today’s consumer spending pattern has shifted. As high-end consumers everywhere have suddenly curtailed their appetite for luxury goods, what was once considered a recession-proof industry has been hit hard. Early this year, in Tokyo, Louis Vuitton canceled plans for what would have been its largest and most glittery store anywhere while Chanel announced the layoff of 200 temporary employees – which the daily newspaper Le Parisien called the latter news a bombshell. No category in the luxury domain has been spared a significant drop in sales including fine spirits, watches and yachts. Suddenly, the perception on the street is that – luxury goods are considered a sign of immorality, superficial and ostentatious. Restraint and modesty are in. On the indulgence services side, lifestyle spending rose on health and wellness but dropped on luxury travel.